With forests full of sycamore and alpine flowers, birch, fir and pine, Sonamarg reveals the other beauty of the enthralling valley of Kashmir. The world famous glaciers, and snow capped mountains form a wonderful backdrop of this small township, and the Indus River gushes through, making it picture perfect. <br />Just 20 km from Sonamarg is the Zoji-La Pass at the height of 3540 meters that leads in to the cold desert of Ladakh. Sonamarg is a trekker&apos;s paradise and small treks can be taken up with many other leisure activities form this place. The most famous is the trek to Thajiwas glacier. Sometimes sledging at these glaciers is offered by the locals. The Ninchai Pass is another attraction for the trekkers, mainly because of the spectacular view f the three mountain lakes; Kishansar, Vishansar and Gangabal. <br />Many leisure activities are offered in Sonamarg like a quiet pony ride to various trekking and camping sites, admiring the nature around. The Indus River is also famous for its typical kind of fish, the trout and mahaseer. So abundant is the river with these fishes that even an amateur would also grab a few to fill his kitty!! Long walks in the jungles to explore the rich flora and fauna, Alpine Skiing on high altitudes, or just laze around the through the flower strewn meadows, there are many things one can do in Sonamarg. Sonamarg, the golden meadow is also the gateway to the rugged and rough yet beautiful terrain of Ladakh. 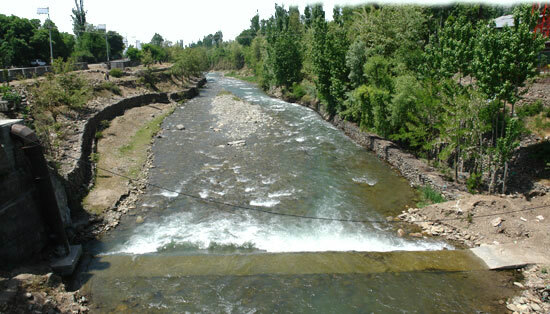 Situated at an altitude of 2,730 meters in the heart of the Kashmir valley, this place is around 100 km from Srinagar. But this small distance takes nearly 10 hrs to be covered through the mountainous ridges and valley roads. But the drive opens up yet another surprise that the Kashmir valley&apos;s beauty has in store for the traveler.